THE Pointer Brampton last week reported that Brampton City Council has sent the RCMP the findings of the firm Froese Forensic Partners that was hired early this year to investigate a real estate deal that cost the city an extra million dollars after it was found that Brampton Mayor Linda Jeffrey’s chief of staff Hasneet Singh Punia reportedly “leaked” confidential details about the planned property purchase to Brampton MPs Raj Grewal and Navdeep Bains, who is the Minister of Innovation, Science and Economic Development. The details that were “leaked” included the agreed price of about $3.3 million for the 20-acre parcel of land that is owned by the province of Ontario and that the city wanted to end congestion on Goreway Drive, south of Steeles Avenue. The deal didn’t take place, but the land was bought by Goreway Heaven Inc. for close to the same amount, according to The Pointer Brampton. It was then sold back to the City of Brampton a few months later last January for $4.4 million. 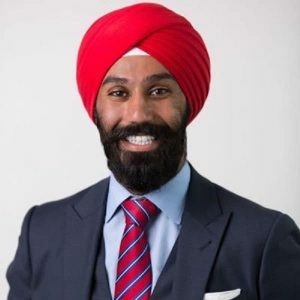 Froese Forensic Partners presented their report to Brampton City Council on November 19 and on Tuesday the Council reportedly decided to hand the probe’s findings to the RCMP as the force was already investigating Grewal’s gambling activities. The story was picked up by other media, including the National Post. “A recent media report by The National Post improperly suggests I was involved in wrongdoing in relation to the Goreway Bridge Project, simply because the City of Brampton sent a report on that project to my office. “Let me be clear: any insinuation or allegation of wrongdoing on my part is false and baseless. “As an elected official concerned about my riding, I have indeed monitored this long-standing project because it is important to my constituents. 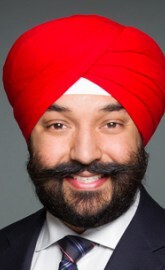 “As a federal Cabinet minister, I handle sensitive information on a daily basis. I always treat such information with the utmost care and in accordance with the highest ethical standards. Sources with an intimate knowledge of the facts told the Bramptonist the investigators found no connection between the land deal and the information Punia provided to Grewal and Bains. MPs Grewal and Bains, the mayor’s chief of staff Punia and Goreway directors named by the National Post in its follow-up story are all South Asians and that is bound to cause more controversy, thanks to the usual racism.